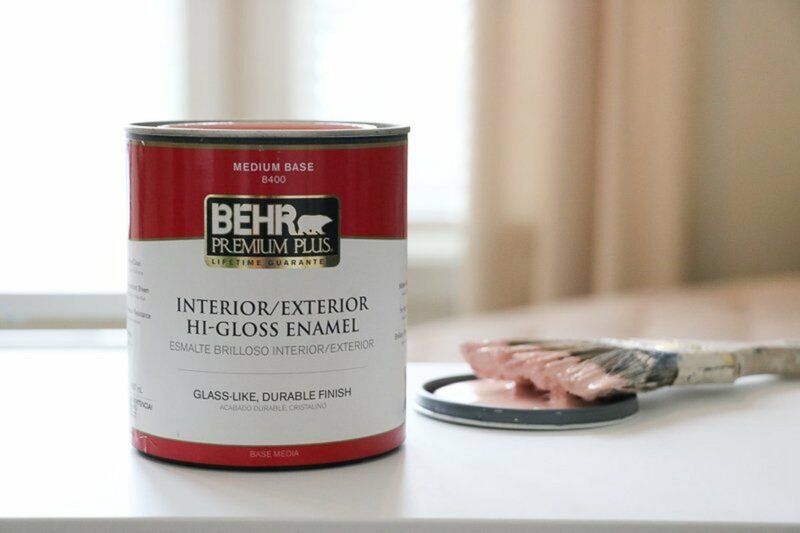 If you want to get a super smooth finish painting cabinet doors, thorough prep work is key. Sanding dust and crumbs from caulking get stuck in the paint if left on the surface. These imperfections become very noticeable from an angle on doors painted with a glossy finish. You should be able to look at the doors from an angle and not see any texturing from imperfections. One of the most important parts of cabinet paint prep is controlling the sanding dust. Airborne dust particles cause surface contamination, ruining the finish on painted doors that haven't dried yet. Dust left on the surface can also cause air bubbles to form where the paint is unable to bond with the primer underneath. These air bubbles in the paint will ruin your doors, but this can be avoided. Sanding is important because it removes the protective lacquer coating on cabinets to expose the bare wood for primer and paint. This provides a much stronger bond than if you were to prime and paint directly over the surface without sanding. Sanding also smooths out any rough areas, or splintered wood. Annoying sticker glue comes off easily with a sander too. Using an electric sander is a must, instead of sanding by hand. A random orbit sander sands surfaces evenly without leaving scratch marks like a folded piece of sandpaper can. You can scratch the fresh primer and paint on cabinet doors very easily, using the wrong tools and sandpaper. These scratches become noticeable in the final coat of paint. For the first sanding on oak cabinets, 100 grit is great for removing the lacquer top coat. 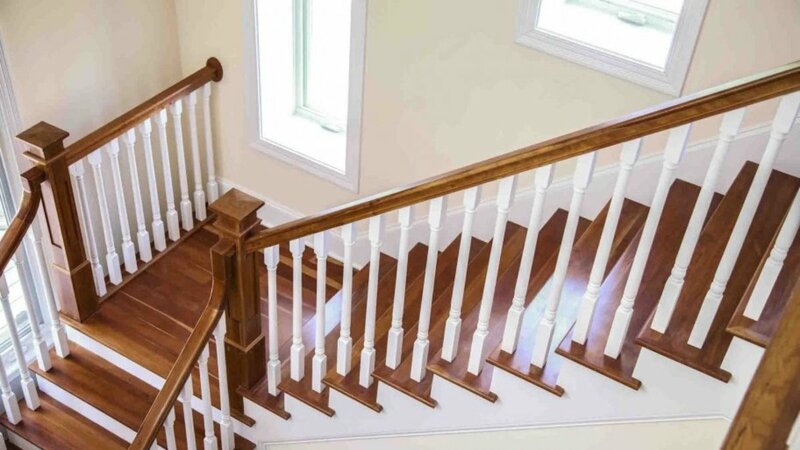 A softer wood, like maple, should be sanded with finer grit like 120, or 150. Using coarse sandpaper on maple can damage the wood fibers, texturing the surface. I prime my cabinets with two coats of primer, sanding and cleaning the surface in between coats. This creates a very smooth profile when painted, without any surface imperfections. Sanding the primer allows the paint to adhere better, and applying two coats of primer eliminates any chance of stain bleed-through that sometimes occurs with only one prime coat. When sanding primer, 220 grit smooths out the surface to a fine powder without burning all the way through the coating to the bare wood. If you need to sand out an accidental finger mark in the primer, 150 grit works well for that. If needed, I'll do a light spot sanding of the first coat of paint to remove any crumbs from the doors that might have been missed before. I use a very worn sanding sponge, or 220 grit, using my orbit sander if necessary. If the primer coats were sanded and cleaned thoroughly, you shouldn't have to sand the paint other than a light scuff sand. Using coarse sandpaper will scratch the paint very easily, especially if you're doing it by hand. Stay away from sandpaper coarser than 220 grit. Scratch marks are hard to sand out without grinding the coating down to the primer. 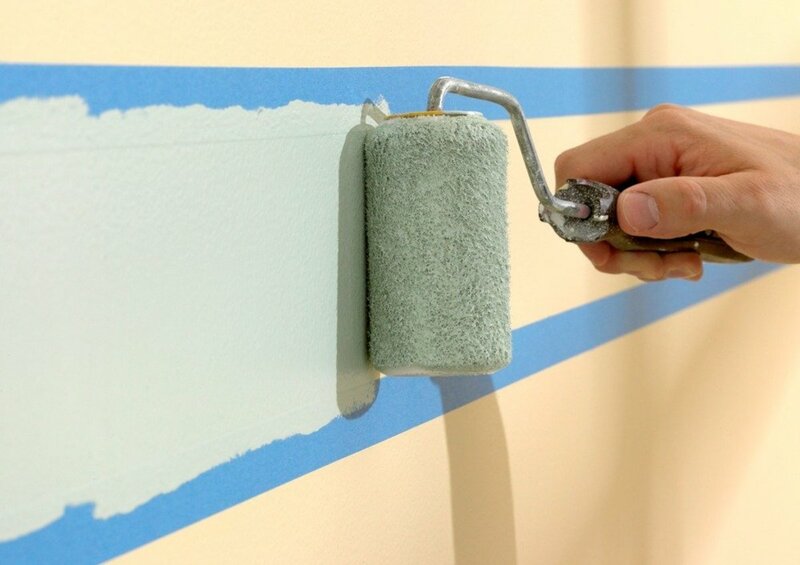 Allow the paint to fully dry before applying the next coat. Painting cabinet doors before the previous coat has dried can result in air bubbles. Dust is your enemy when painting cabinet doors. 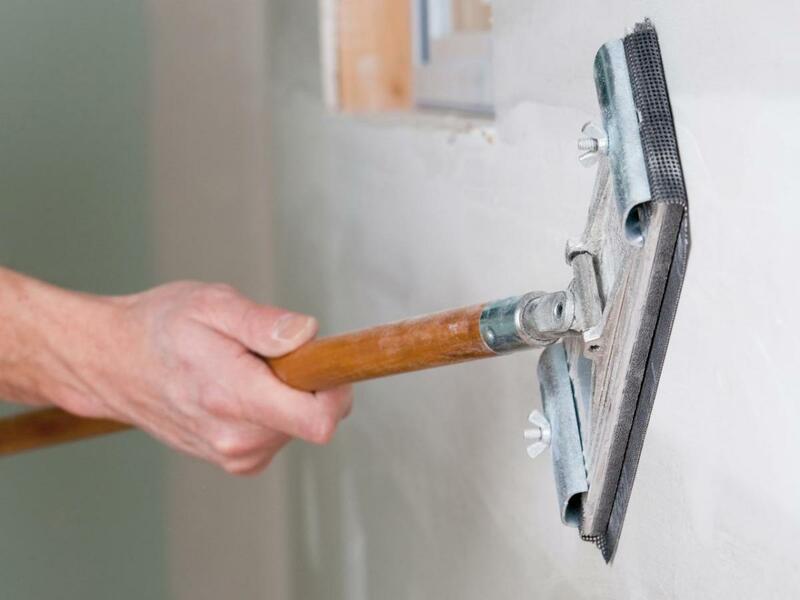 Sanding dust makes a huge mess and hovers in the air for hours over your painted doors. If possible, I highly recommend sanding the doors outside and away from where you're painting them. If you're sanding the doors inside, you can position a shop vac hose directly next to the sander to capture a good amount of the dust blowing out. A bagged sander still blows out dust. You can also place a fan near an open window, in reverse, to pull the dust away from the workspace. Another option is to buy a portable spray tent where you can store your painted doors, so dust in the air doesn't fall onto them. You can buy these at any home improvement store. They work great. However, never leave a tack cloth on top, or underneath, your painted door, or it will leave a sticky residue on the surface that's hard to remove. These cloths should be replaced as soon as they start getting dirty. A damp rag works well too, but the problem with using water is it has to dry before applying primer. Sanding primer creates a lot of powdery dust that you don't want to leave on the surface. Sanding dust from primer comes off easily with a tack cloth. Always wipe the doors down after each sanding. The oil-based primer Zinsser Cover Stain sands very easily, but the trick is to let the primer dry overnight before sanding it. Zinsser BIN shellac primer also sands well, but not as easily as Cover Stain in my experience. If you roll your cabinets instead of spraying them, using Cover Stain primer, you can sand out the roller texture pretty easily once it's fully cured, which creates a smoother profile with less stippling. Sanding your prime coats makes a huge difference in how smooth your cabinets look after they're painted. If you want a super smooth finish on your cabinet doors, I strongly recommend spraying them instead of using a brush and roller. While a foam roller does produce a smooth finish, these still leave stippling on the surface, not to mention the work will take much longer to finish. Side by side, a sprayed door looks far better than one that was brushed and rolled. The idea of spray painting cabinets might sound intimidating, but it's a lot easier than you think. 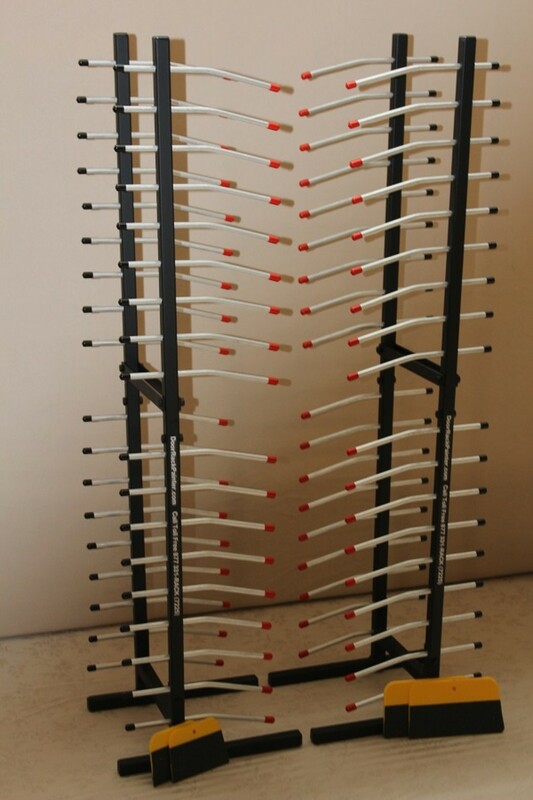 Buying an expensive sprayer obviously doesn't make sense if you're only using it one time, but you can rent a professional airless sprayer for around $50 to $75 per day. If you need a sprayer for a few days though, or longer, the cheaper alternative is to simply buy a small HVLP sprayer. These produce very little over-spray and a finer finish than an airless. An airless sprayer is the fastest way to spray multiple doors in a short amount of time, but the over-spray means more masking. An airless sprayer is best for production. An HVLP sprayer produces much less over-spray, but it requires the thinning of paint and the refilling of the material cup more often than working with an airless directly out of a paint can. I used to paint cabinets with a brush and foam roller, and while you can certainly get good results with this method, foam rolling creates stippling, especially when the material is applied too thick. Brushing and rolling is also extremely time-consuming. Foam rollers can also leave air bubbles in the paint, which has happened to me using the black foam rollers from Sherwin Williams. I've used their flock foam rollers with good results though. This is probably one of the most important parts to getting a smooth finish on your cabinets. Some paints have levelers in them to help the paint level out over the surface for a uniform finish. Working with a leveling paint makes it easier to minimize brush strokes and stippling from a roller. I used acrylic Pro Classic from Sherwin Williams for many years, but I've switched to their Emerald Urethane enamel. Both products level nicely, but Emerald urethane seems to level a little better and dries harder. Whichever paint you decide to use, make sure it's one that levels. 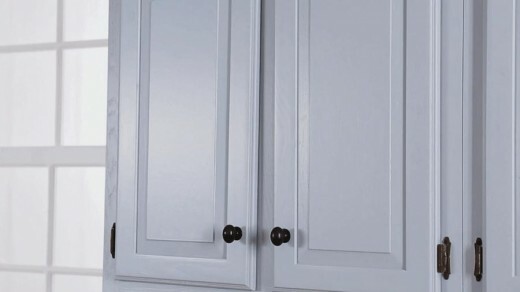 How about satin oil pro classic for painting cabinet doors? Alkyd Pro Classic dries a lot slower than the acrylic version. Oil-based paint also yellows over time. This won't be noticeable with dark colors, but you'll see it if you're painting cabinets white. I've sprayed the alkyd Pro Classic many times years ago, but prefer the acrylic version. Both of them level out really nice. For cabinets though, Emerald urethane levels out the same, if not better, and dries harder for better durability. The sprayer I used created some texture on the just painted cabinets. Should I sand them? Do I apply a top clear coat? Is it recommended to paint cabinet doors outside in the open or inside a paint tent? 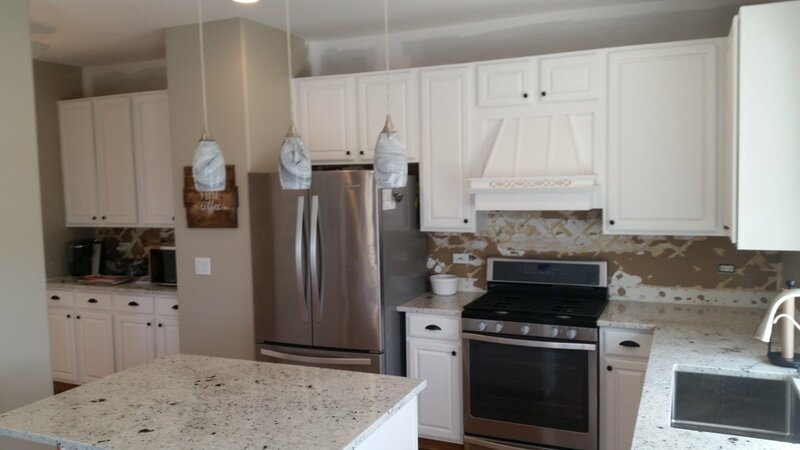 Did you also use the airless paint sprayer to apply the primer, or just the paint when finishing your cabinets? Yes, I spray the primer too.